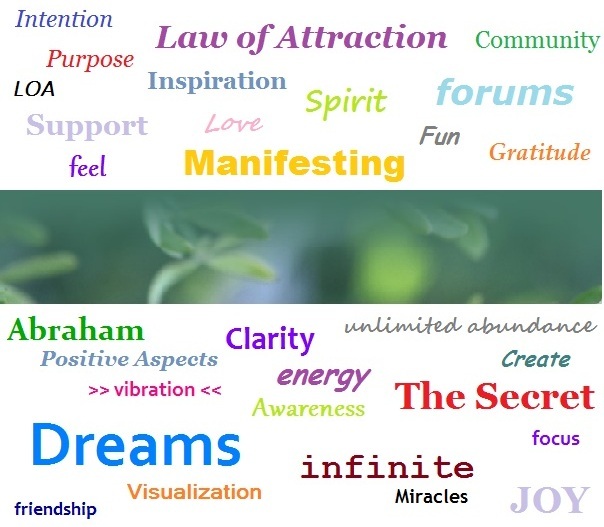 As promised yesterday, I have compiled a list of Law of Attraction forums for you. Powerful Intentions has a goal of helping everyone belonging to their forum to raise their vibration and easily attract what they are looking for. In the site's own words, they want to "Create the most fertile community in the world for people to manifest their Intentions!" Although the top of the forum seems to suggest that this one concentrates on attracting romantic love, a quick scroll down through the topic threads reveals that there are many other topics of interesting, as well. Wealth, quantum physics and abundance, for example. The site has more than 3,000 members. Please note that I cannot vouch for this site. While searching for LOA forums, I happened upon this and decided to include it in the interest of offering varied choice. It purports to help people succeed financially and spiritually. Some people may be more comfortable in a club format, which this one is. The Law of Attraction Forum is guided by author David Samuel, who is personally available to members on a daily basis. Self-touting as, "the web's number one community for spirituality! ", Spiritual Forums is an open arena to discuss absolutely anything to do with what most people refer to as 'New Age'. There are threads for topics such as paranormal, yoga, zen, spirituality, esoteric subjects, affirmations and more. 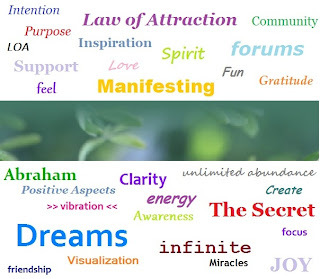 Naturally, manifesting and the Law are the topics of many of the threads. This is a robust forum of more than 6,000 people discussing all things Abraham. All participation must have to do with Abraham teachings. Well, that's it for today. I hope that at least one of these forums resonates with you. Great List, active forums are hard to find! While there are some active forums, I don't find the diversity that I hoped there would be. You're welcome, hope you found a forum that interests you.